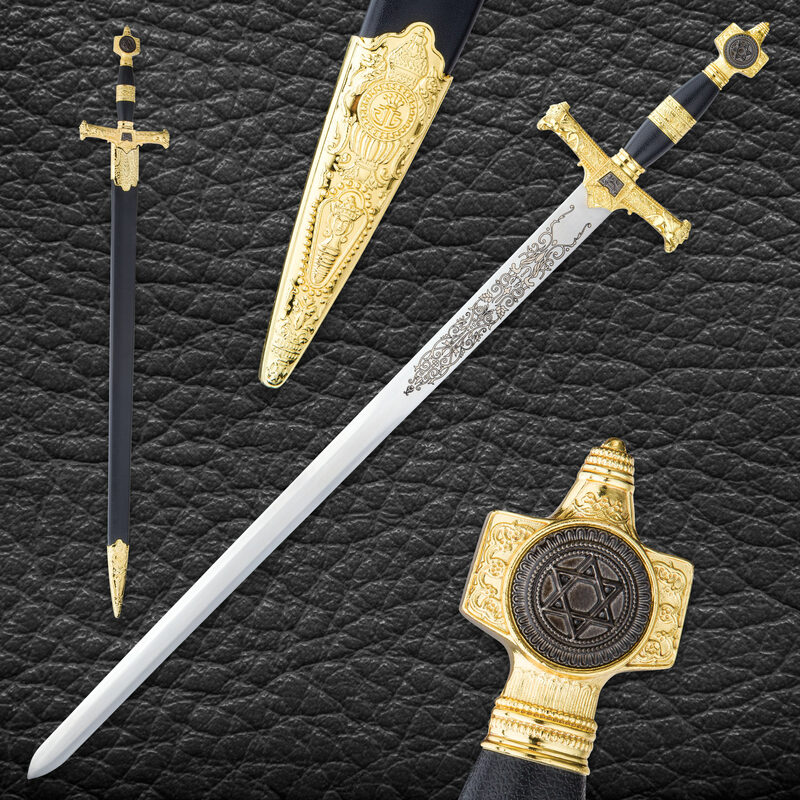 Our Star Of David Sword is an elegantly designed sword inspired by the Holy Land and crafted in the style of a Medieval weapon. 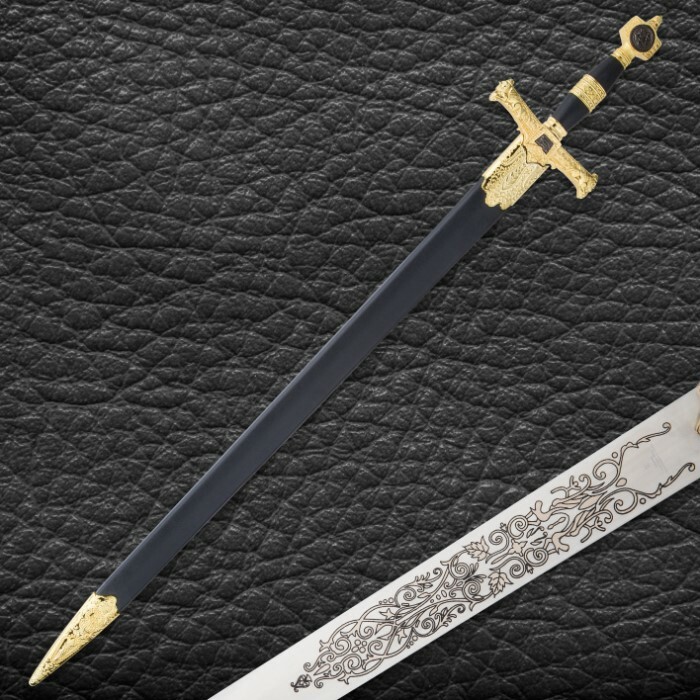 The display sword has a 22 3/4” mirror polished, 420 stainless steel blade and features an intricate design on the blade. 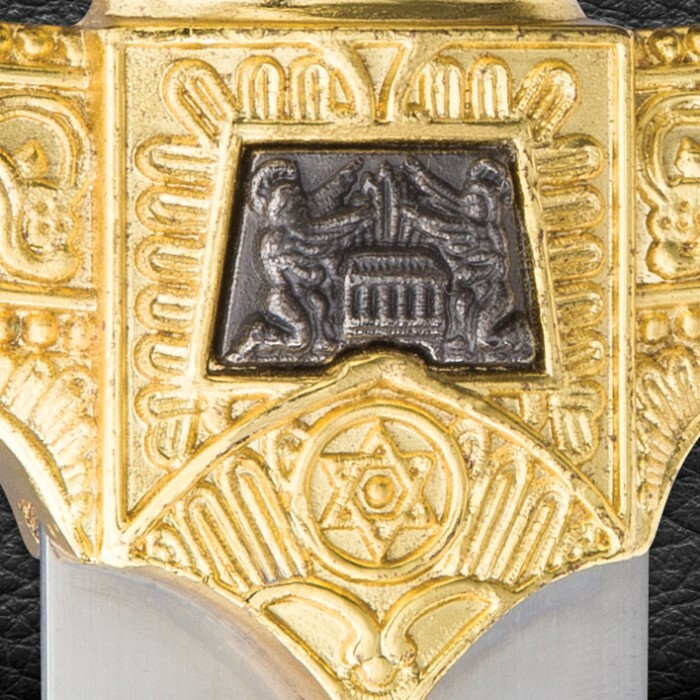 The highly decorative ABS handle has gold-colored metal alloy accents including a highly-detailed guard and a pommel with the Star of David symbol. 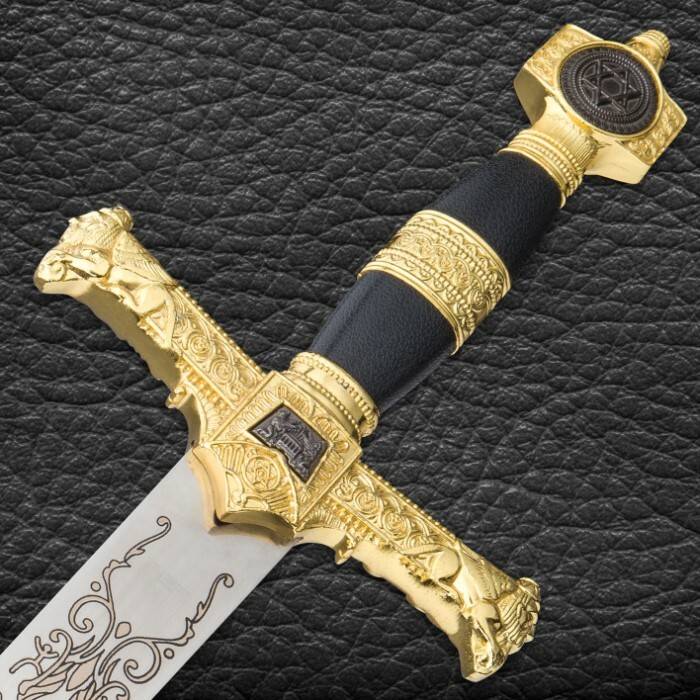 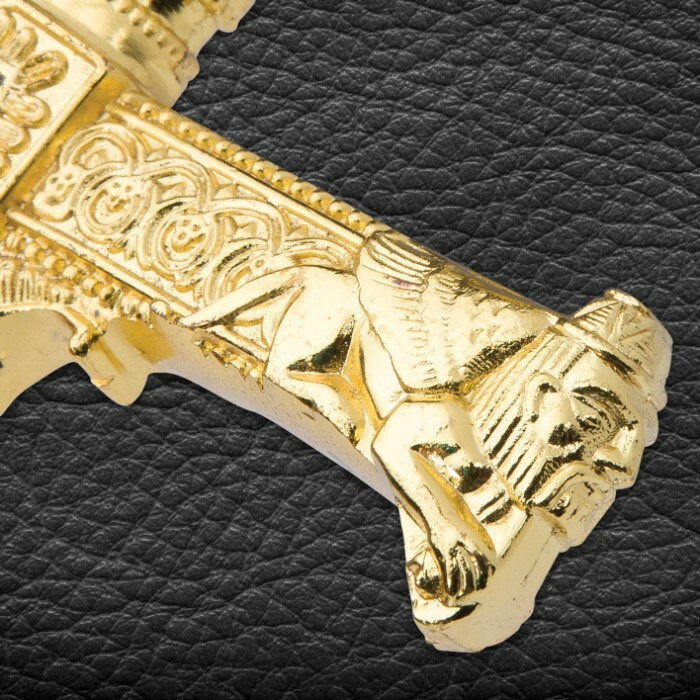 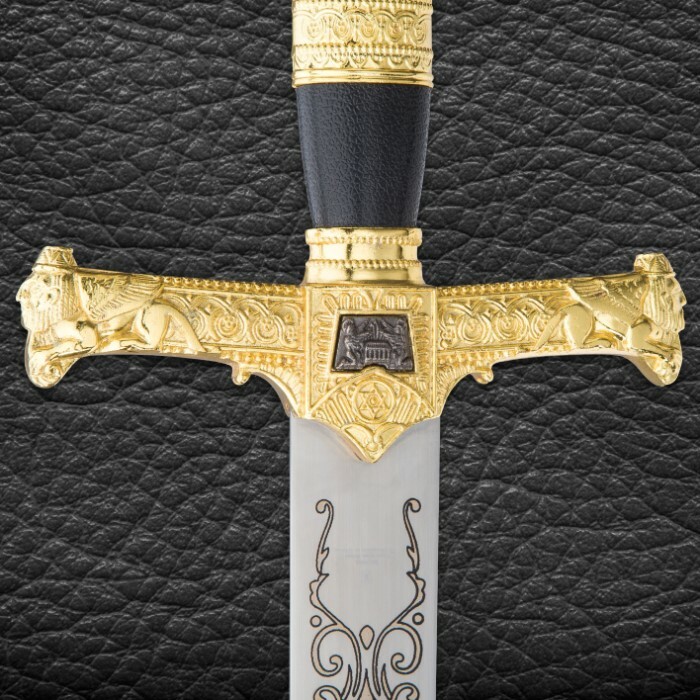 A black faux leather scabbard with complementary gold metal accents houses the magnificent sword.